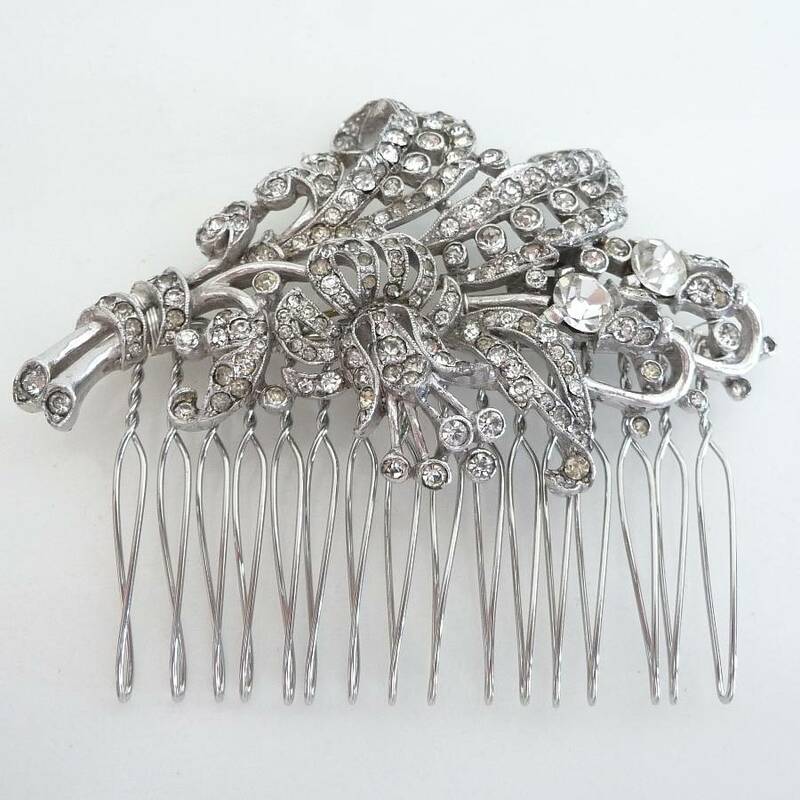 A stunning hair comb which will work beautifully used in an array of hair styles, from heavenly half-up dos to classic chignons! 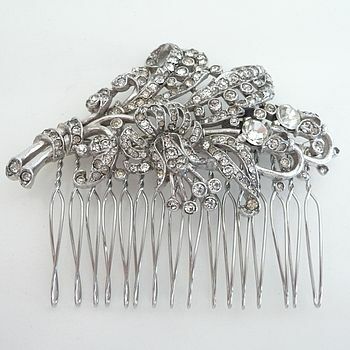 An exquisite Art Deco signed Trifari vintage fur clip has been re-worked to create this gorgeous hair comb. 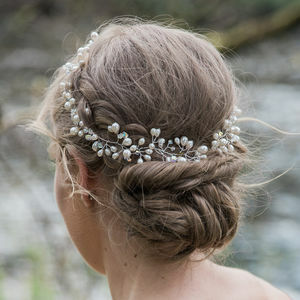 The highly ornate detailing comprises of tiny pave set crystals which cover the entire floral design. The amount of work and skill that has gone into producing this piece is truly amazing. 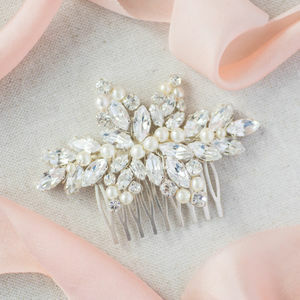 Perfect as an heirloom, which can be treasured for years to come! 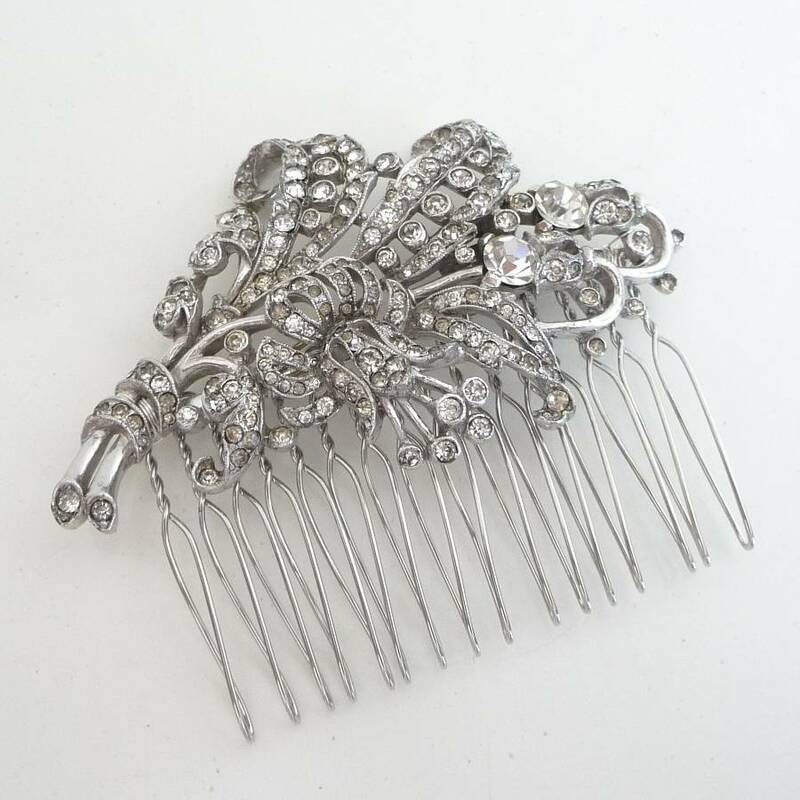 The detailing is in beautiful condition for its age...don't miss out, only one in stock as it is an original vintage piece! We want to make unwrapping your order an experience in itself, that’s why all of our products will come in one of our signature boxes. Items will be delicately wrapped with luxurious tissue paper and each box will be finished with its own co-ordinating grosgrain ribbon. 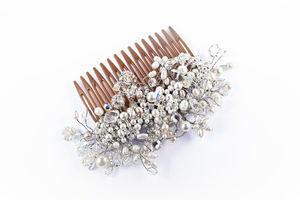 Original vintage signed Trifari fur clip and silver plated comb.